Amino Lean has been great for me. It doesn’t make me feel jittery or give me any side effects. I have been using this for a while now and I have lost weight. I have also felt more energy. I am not hungry all the time anymore which is great! I've tried a few pre workouts in the past and by far amino lean is the best so far. Been taking it for about a year now. 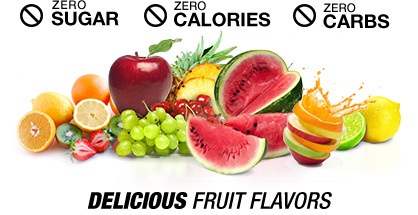 All 4 flavors taste great and it mixes well. Doesn't leave me feeling jittery or have any side affects. It gives me that extra pump while I'm working out. This product is great. No jitters, great taste, and excellent to stack with other RSP products. 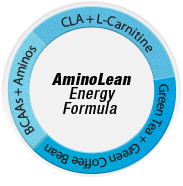 Amino Lean always gives me a great energy boost. Since taking it I have never felt weird or had any stomach pains at all. I take it before working out and it works quickly. It gives me an awesome workout all the time. I highly recommend it. Since taking this product I am feeling a lot leaner. I have also felt a good boost of energy and my hunger has gone down. I’m not eating junk all the time anymore. This product is helping me a lot! I have loved this product since the first time I used it. It has helped me lose 10 pounds and give me more energy. Great product! I don’t like taking products. However I decided just to try amino lean and see if it would work for me. I work out 3 times a week and this product has made me go longer in my workouts. I have also noticed my fat I have been trying to get rid of is going away. Whenever I am lacking energy I can count on aminolean to help me out. It works great when I need energy for work. I absolutely love it! I am on my third tub of this and I love it! It gives me a good boost without the crash and jitters. I have noticed a great boost to my endurance when using this especially in the amount of volume I am able to do without tiring. The fat burning aspect is great, I do notice an appetite suppression effect and I do sweat a lot more during cardio. Overall a very good and balanced product that does what it says. Can't ask for more than that. Absolutely love amino lean. It has helped me get leaner and my muscles are showing more. Not much energy. muscle building has not been improved. Great substitute for soda. I usually drink soda everyday all day but this has helped me stop. I feel awake and it tastes amazing! I'm normally not a huge lemon-lime fan, but this stuff tastes amazing! Basically like lemon-lime gatorade but not too sweet or sour. It can be used as a pre-workout but I prefer something that makes my body tingle a little, but I'm still giving it a 10/10 because it does make me feel more alert and awake, as well as helping me get rid of unwanted fat while forming more lean muscle. Its a good drink if you run long distances. Provides energy and keeps you refreshed. Great flavor and good results! Would definitely recommend! Awesome!! Great focus, energy throughout entire work out! Best time to use is During Workouts. Warnings: Consult your physician before using this product if you’re taking any medication or under a physician care for a medical condition. Not for use by those under the age of 18, women that are pregnant, trying to get pregnant, or nursing, or those that are sensitive to caffeine and beta-alanine.do not consume caffeine from other sources while taking this product as too much caffeine may cause nervousness irritability, sleeplessness and occasionally rapid heart beat.